If memories give you your identity, what happens if someone gives you new ones and makes you believe them? 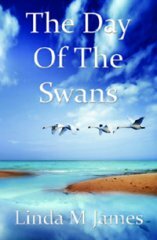 The Day Of The Swans focuses on the intriguing, disturbing relationship between a charismatic stalker and his beautiful therapist who he convinces is his long-lost sister, but can we believe him? The Day of the Swans is an excellent psychological thriller, fraught with intriguing characters, vivid settings and labyrinthine plot. Hitchcock would have had a field day with it. A terrific read. A gripping read with strong characters that illuminate an intriguing story. I enjoyed reading Linda's story and recommend it to others. this book is well written and researched, myself and my family have thoroughly enjoyed reading it and found it gripping and absorbing. I think that it well deserves the prize. A truly wonderful read, i was hooked from start to end. I recommend this book to anyone who enjoys a good thriller. A riveting read. Would love a sequel. Enjoyed the way it was written -kept me wanting to read on. Characters were interesting and i was hooked. I really enjoyed reading this book. The subject matter appeals to me and I was interested to learn more about cognitive behaviour therapy. I became involved with the characters and could not put the book down. It was gripping and the ending did not disappoint. Well done! I hope this is really successful for you. This is a fantastic book. Once I started reading it I couldnt put it down. Having had some experience with cognitive behaviour therapy it is extremely believable and had me on the edge of my seat as each page turned. The cover grabbed my attention on the publisher's website. The gorgeous image just had to sit on my shelf. And was more than pleasantly surprised with the read. An easy read, and a page turner. Loved getting to know the characters and hiding behind widely-splayed fingers when I just knew they were getting themselves into strife. Congrats to the writer - a debut novel I believe. Didn't see the ending coming. Recommended for a great winter weekend read. Great read, I couldn't put it down. Marvellous book and very riveting. Really liked the exploration of reality and identity. This book is an excellent read, well written, creative and exciting, so that you simply don't want to put it down until the last page is turned. I would like to add my vote for this book. It is an excellent read. A great read. Couldn't put the book down. Marvellous landscapes, interesting well-researched characters and most of all suspense galore! A cracking read from its beginning to its climactic end. Read before Christmas! Great novel: easy to read, gripping, great atmosphere, unexpected finale. I just loved this book! I have read and enjoyed other books by Ms James but this one is exceptional even for her. The whole idea of the plot is so original and captivating. This book is enjoyable on so many levels which is what I like my reading to be. Thoroughly enjoyed the novel. It was gripping and interesting. Would like to read more books by same author. Hugely engaging novel with thrills and twists, great fun to read, strongly recommend!